Zooniverse lead back-end dev, Cam Allen, helps some of the younger generation get involved in Penguin Watch. 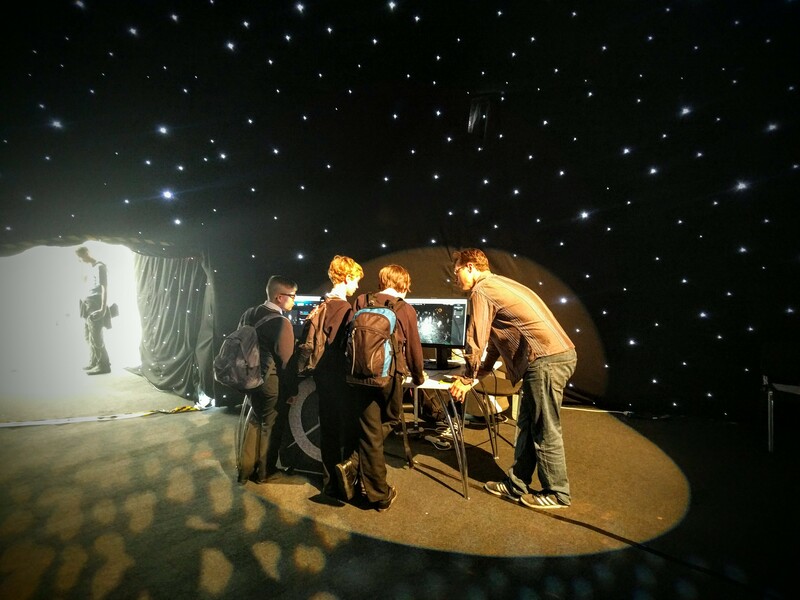 Last week a few members of the Zooniverse team were showing off our projects to the public as part of Cheltenham Science Festival. The Cheltenham festival is one of the UK’s leading science festivals, and over 10,000 people came through the gates over the course of 6 days. Many of these were school groups who had lots of fun talking to us about the Zooniverse and classifying real data on Galaxy Zoo, Penguin Watch, and many other live projects.